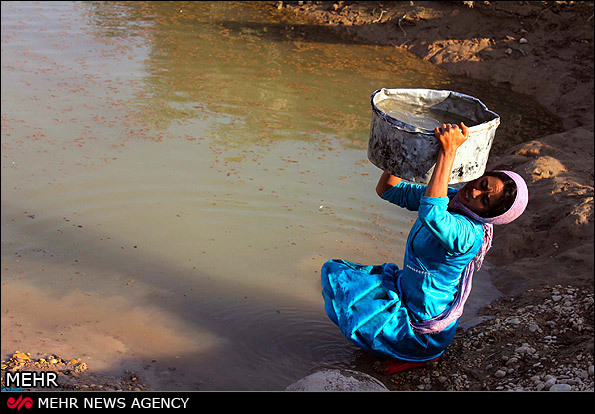 The issue of drought and water diversion in Al-Ahwaz has not left the headlines in Iran with the media focus on the destruction of fertile lands and the shortage of drinking water for residents. The impact of dam construction on the livelihoods and welfare of Ahwazi Arabs forced the Energy Minister to visit Ahwaz for crisis talks with the provincial governor as public unease and opposition grows. Energy Minister Majid Namjoo has played down the importance of the Ahwaz water crisis and dismissed local opposition, telling members of the Iranian parliament for the region that water was a national not regional concern. He added that two local representatives of Khuzestan were on the Water Supreme Council and could raise any regional concerns. While denying there were any problems in the water diversion project, he stated that sewerage works were being built in 14 of the province's cities. However, Jam-e Jam Online reported that members of parliament for Khuzestan province are not optimistic over the solutions offered by the central government. MPs have repeatedly warned of a brewing ecological disaster caused by man-made drought that could prove catastrophic to regions beyond the province. Mohammareh (Khormashahr) member of parliament Abdullah Sameri told the news agency that the Karoon was "dying" due to dam construction reducing water flow and rising pollution from industries, hospitals, sugarcane plantations and agricultural drainage. Sameri added that cities such as Ahwaz, Khafajieh (Susangerd), Hamidieh, Dezful, Falahieh (Shadegan) and Mohammareh (Khuramshahr) are in a desperate state with water shortages causing rapid transformation of farmland into salt marshes. Mohammareh (Khuramshahr) has seen its agricultural exports collapse as a result, he claimed. 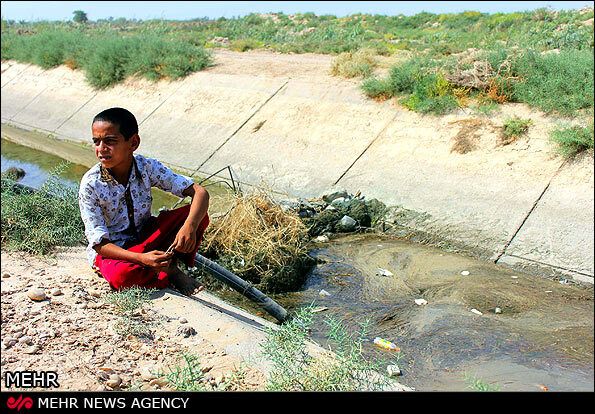 His complaints come after he Head of the Environment Protection Agency Mohammadi Zadeh approved the discharge of waste water from sugarcane plantations into the marshlands of Khuzestan. Meanwhile, MP for Hendijan city Habib Aghajari said the problem of water supply is even worse in cities like Hendijan, Omidiyeh and Bandar Mahshahr due to the decline in the level of water the Jarahi and Zoherh rivers due to dam construction. Mehr News reported that the drying of the Karkheh river, the Hamidyeh district's source of irrigation water, has destroyed around 17,000ha of crops as the government diverts river waters from the Arab populated area to cash crop production in Persian-majority provinces elsewhere in Iran. Grain, poultry and fish farming in Hamidyeh have all been hit by low river water flow, which is also causing a shortage of drinking water. The cost has been both environmental and economic, with many Arab farmers left without a livelihood and high levels of personal debt. Many are migrating to the cities for work. The once fertile land of Hamidyeh city is now threatened with permanent desertification. Elsewhere in Al-Ahwaz, drinking water is becoming increasingly scarce. According to Fars News Agency, residents in Montazeri town in Falahieh (Shadigan) have access to drinking water from 10pm to 6am every night. Tap water is routinely cut off during the day, despite hot summers when temperatures exceed 50 Celsius and humidity rises to over 90 per cent. The extreme hot weather causes water-born bacteria to breed at a fast rate and cannot be drunk and residents are forced to buy bottled water. Residents allege that no action has been taken to replace or repair the ageing and inadequate water supply networks since the 1979 revolution.